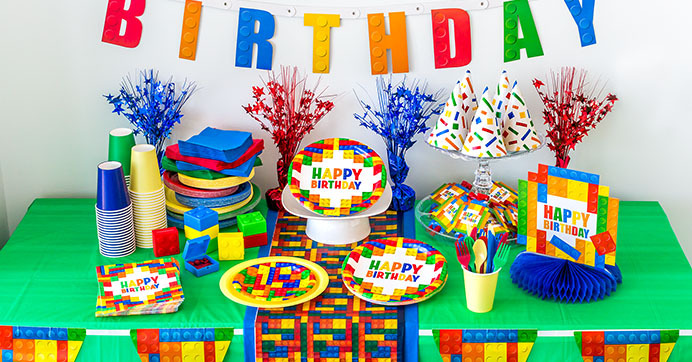 Every year, I am constantly trying to think of a different and fun theme to do for my kids’ birthdays without spending a fortune on decorations and party supplies. 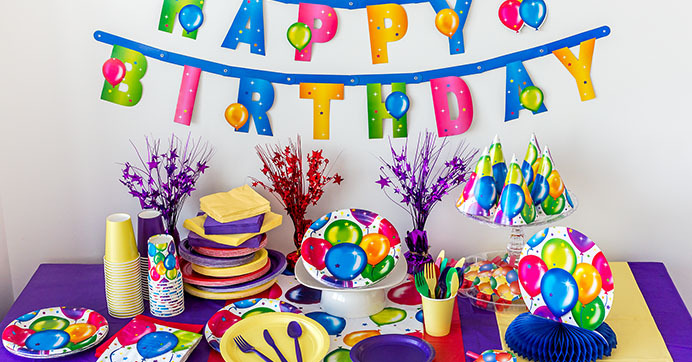 One of the biggest challenges is finding what I need at one place rather than going all over town for supplies, which is why I go to my local Dollar Tree because they have TONS of party supplies and birthday themes. 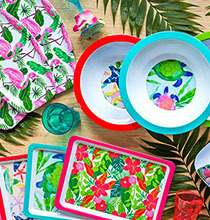 I stock up on everything from banners and balloons to tableware and serveware. They even have ADORABLE party favors to give the kiddos. 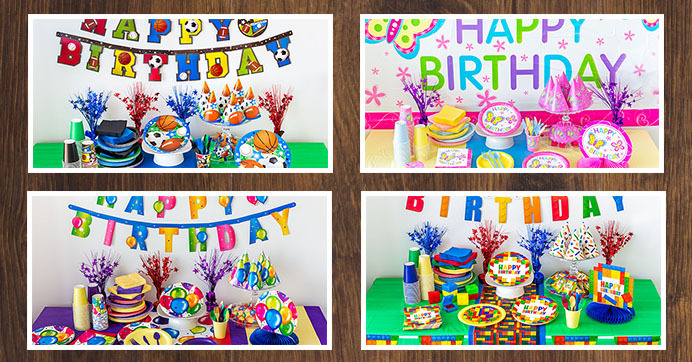 I have listed some of my favorite birthday party themes they carry below. I am even using the sports theme for my son’s birthday this year! 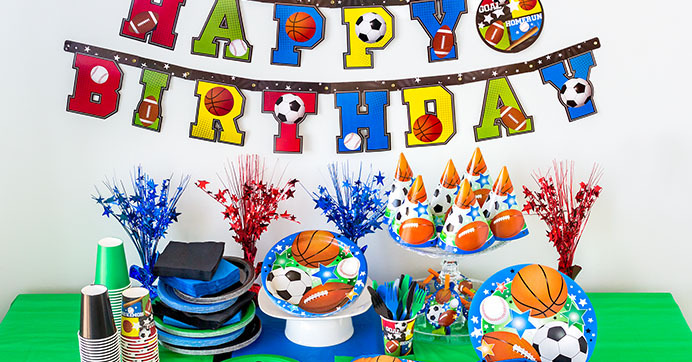 If your kids are like mine and play sports all year round then they will absolutely love this sports-inspired birthday theme. Whether they play football in the fall or soccer in the spring, this birthday party theme will surely be a hit for your sports lovin’ kids! My little girl is obsessed with the color pink. I’m talkin’ her walls in her room are pink, her bicycle is pink, even a majority of her clothes are pink. When her birthday comes around this party theme will be perfect. Plus, it even includes butterflies which, will make her flutter with joy! 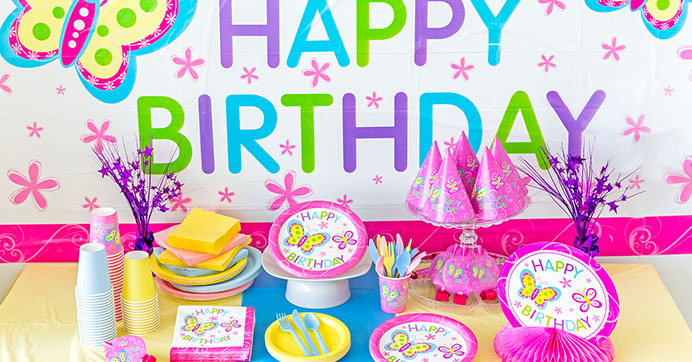 I HIGHLY recommend using this party theme for your little girl’s upcoming birthday. Let me tell ya’, this party theme is sure to be a crowd pleaser plus, you can never go wrong with balloons. Am I right? I usually have a set of these decorations on hand because they are versatile enough to use for any birthday. Just between us, I am always forgetting when my husband’s birthday is therefore, this theme is perfect to use when I am down to the wire! Looking for a fun twist on a block party? Try out this unique and handy theme for a birthday! 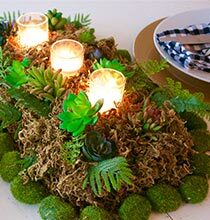 This block design makes it easy to mix and match different-colored party plates, napkins, and tablecloths since its design is simple yet, colorful. Once again, I tend to always keep this theme on hand! 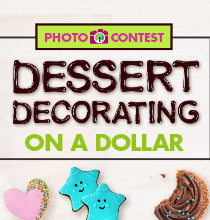 Looking for additional birthday party ideas? Check out this princess birthday party or even this Dr. Seuss inspired birthday!